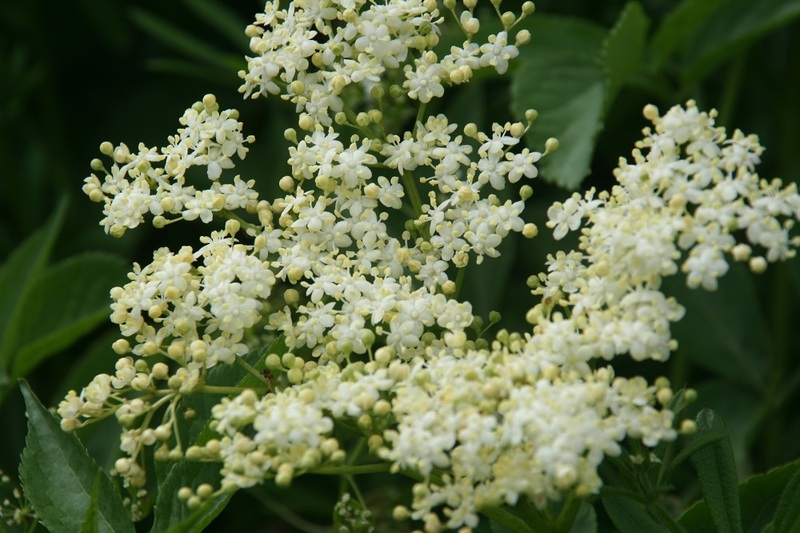 May in Britain brings us Elder dripping with flowers, hedgerows heavy with the sweet aroma. 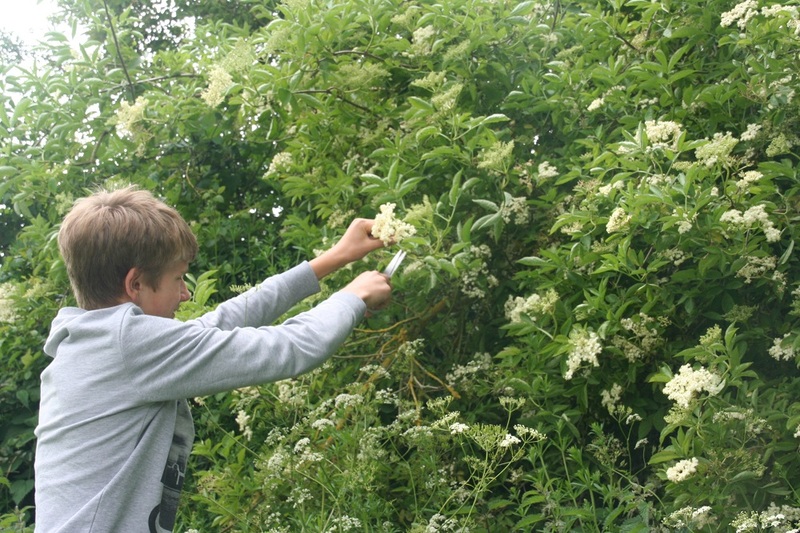 Our long, wet and relatively warm winter has brought us a bumper crop of elderflowers this year. I’ve been watching the flowers, waiting for them to ripen, for the smell to become almost overwhelming, before we plunder the countryside. 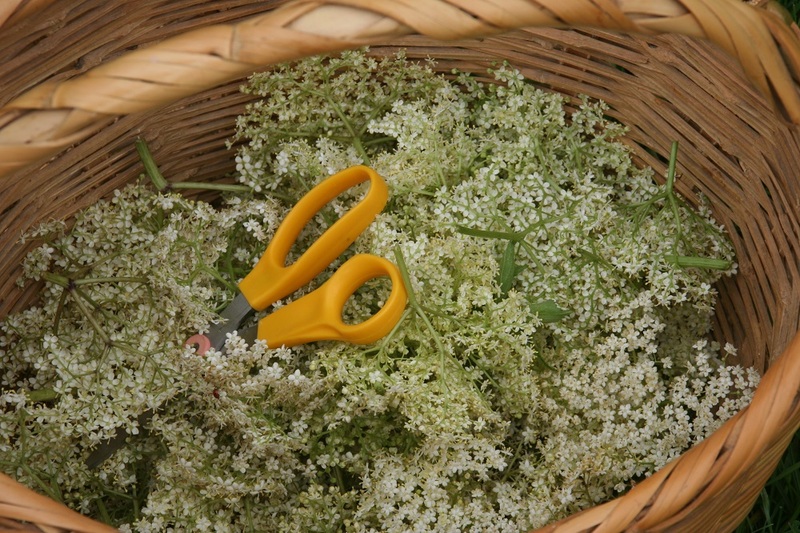 I think Elderflowers are best used for making Cordial. (We’ve tried making Champagne but could never drink it all and our boys ended up shooting the filled plastic bottles which produced fantastic explosions – almost worth making it just for that.) 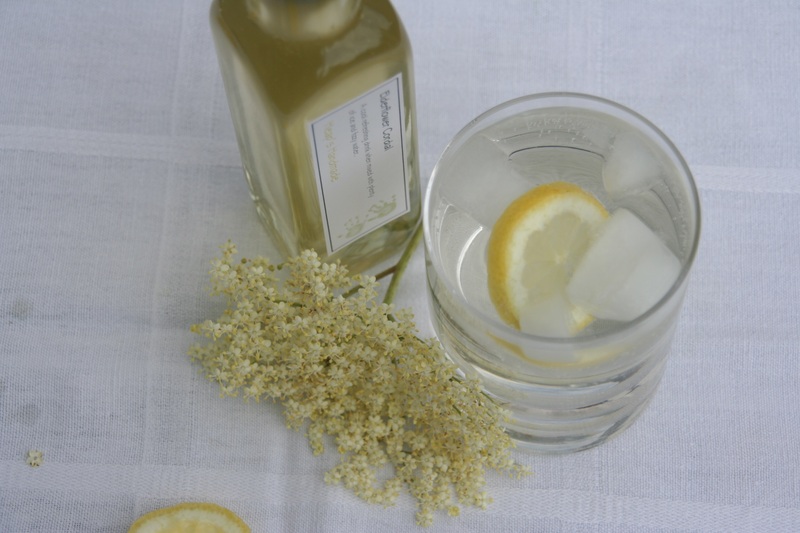 Elderflower Cordial is not only a truly gorgeous and refreshing summer drink when diluted with ice cold fizzy water, but it becomes a versatile and exotic ingredient when making summer puddings and cakes. 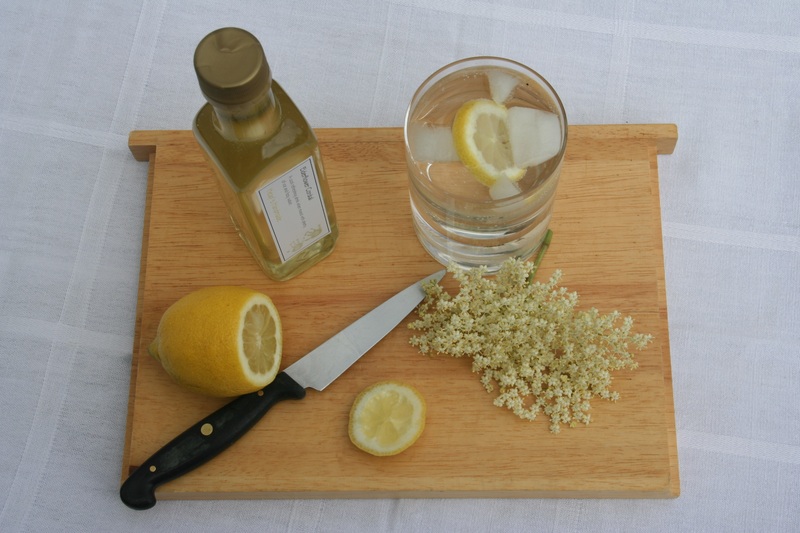 Instead of Lemon Drizzle cake, we have Elderflower Drizzle, replacing the lemon juice with Elderflower Cordial for the crunchy topping. 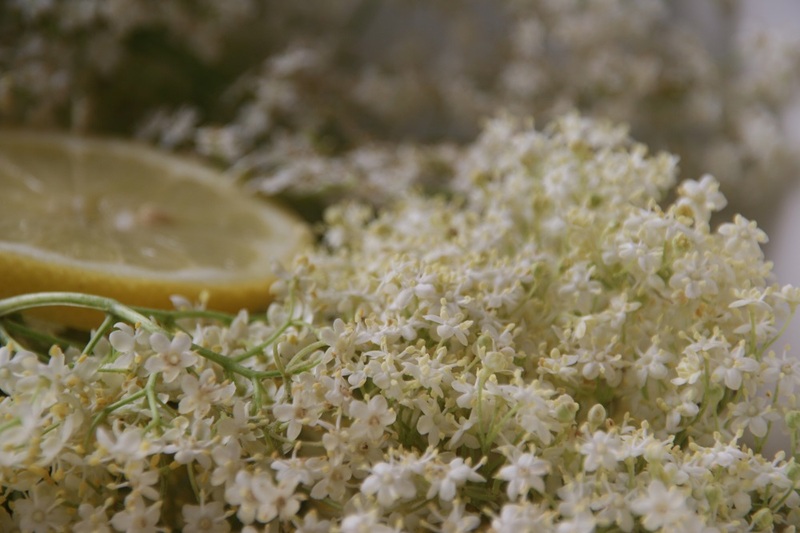 Elderflowers and Gooseberries are a match made in heaven – we eat buckets of Delia Smith’s Gooseberry and Elderflower Ice Cream. 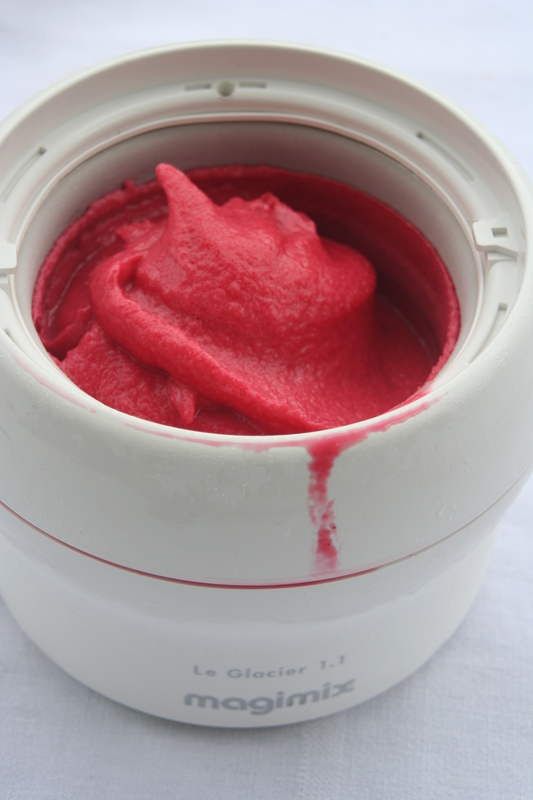 And when we are using up last year’s frozen redcurrants we make sorbet, enhanced with a good lashing of Elderflower Cordial to really make it zing. You could also try livening plain vanilla ice cream by pouring just a dash of cordial over it (careful, don’t put too much on or your dessert will overpoweringly sweet). But those elderflowers won’t last. Get out and cut those heavy heads of sweet smelling flowers and make yourself some cordial, giving you the taste of summer to outlast our (probably) all too brief spell of warm weather. Shake any bugs off the flower heads and put into a large bowl. Put the sugar and water in a large saucepan/jam pan and dissolve over a low heat. When fully dissolved bring up to a simmer. At simmering point pour the syrup over the elderflowers. Add the citric acid and stir. Add the zest of both lemons before slicing and adding to the hot mixture. Cover the cordial with a clean tea towel and leave for 24 hours. When ready drain the cordial through muslin before pouring into sterilised bottles. NOTE: Bottles should be dark (we re-use green red wine bottles) and kept in a cool, dark cupboard. Elderflower Cordial can produce a greeny sludge at the top of the bottle if you don’t do this. Use within 2 – 3 months. ALTERNATIVELY put into plastic bottles, leaving a gap of 2cm at the top, seal and freeze. 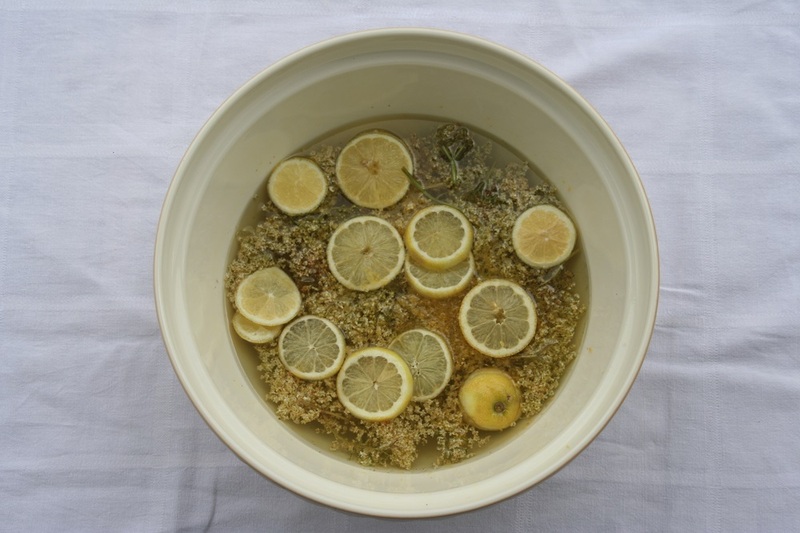 Elderflower Cordial won’t completely freeze due to the high sugar content, but it preserves it well enough to stop the production of that greeny sludge and it will keep for much longer (we’ve had it in the freezer for up to six months). When defrosting just keep in the fridge and use within 6 weeks.